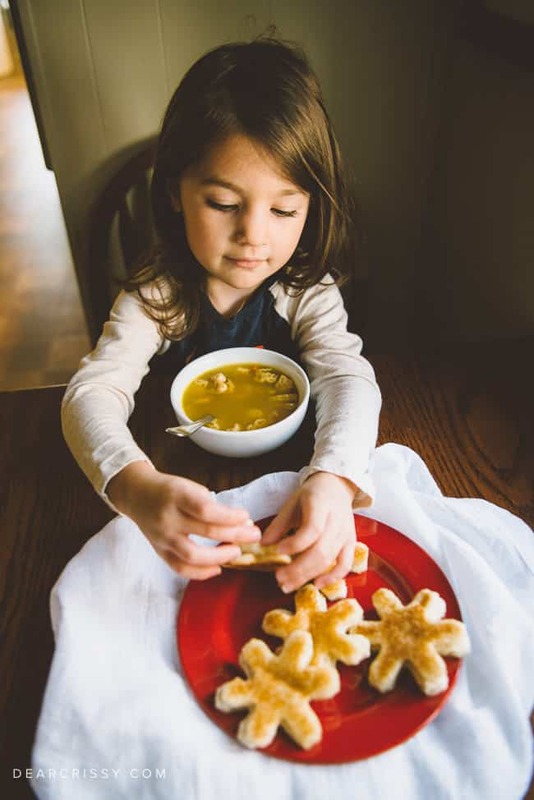 I’m happy to be a partner with Campbell’s Soup as a blog ambassador. Opinions are genuine and all mine. When I was a kid, I can remember counting down the days until Christmas. Now that I’m a working mother of two, I feel like I just wake up one day and BOOM, the holidays are here. Every chaotic bit of it is right here, right now, and my to-do list just won’t end. Then, I take a look at this little face and how focused she is on one shiny ornament. One shiny ornament, right here, right now. I have to tell you that I’m not a mom who is ruled by Pinterest. I can’t cook all the cookies, make all the crafts and organize all the spaces in my house. The pressure to do everything and be everything during the holidays can be even more intense than the rest of the year. 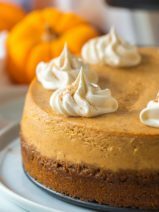 I’ve given myself permission to be the mom I am and to do our holidays the way WE do our holidays. When December rolls around, we have a really busy month. Aside from Christmas, we also celebrate three birthdays in the family. Mine, my daughter Kara’s and my dad’s, on the 13th, 14th and 15th respectively. Even though this month is jam-packed with events, we still spend most of our extra time hanging out around the Christmas tree and watching our favorite holiday movies and shows. 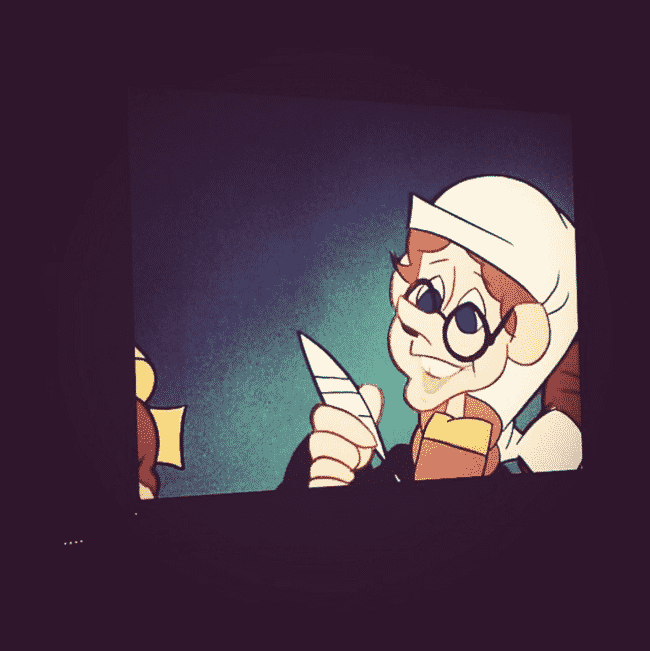 I love that my kids watch some of the same shows that I did when I was little. Do any of you recognize this classic? The kids usually get out of school the week before Christmas, but work doesn’t stop for me, in fact, it’s my busiest time of the year. 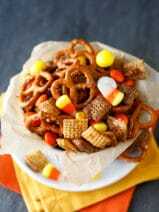 That means I need simple meals that are also festive and fun for the kids. 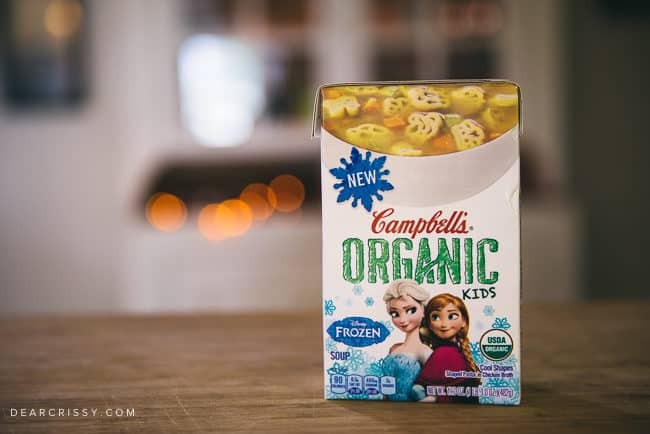 I’m loving Campbell’s® Kids Organic soup inspired by Disney’s Frozen. 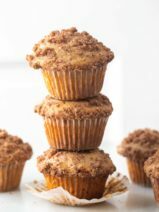 It’s is non-­GMO and USDA certified organic, which makes me feel great. I pair it with these really cute grilled cheese sandwiches that I made using a snowflake cookie cutter. I just told you that I’m not a Pinterest mom, and I made this adorable lunch anyway, didn’t I? Well, it was super easy. Not made-for-the-internet easy, REAL, in reality easy! The weather has been incredibly mild so far this year, so the kids have been able to go outside and play most days. They always ask me for a bowl of soup when they come inside. I am sure that I’ll be making lots of soup and snowflakes next week while they are on break! I have to say, soup with princess-shaped pasta is so fun. When you have a picky eater like my Kara, you’ll do whatever you can to get her to enjoy a meal. One new fun thing we did this holiday season was go to a craft night at my children’s school. 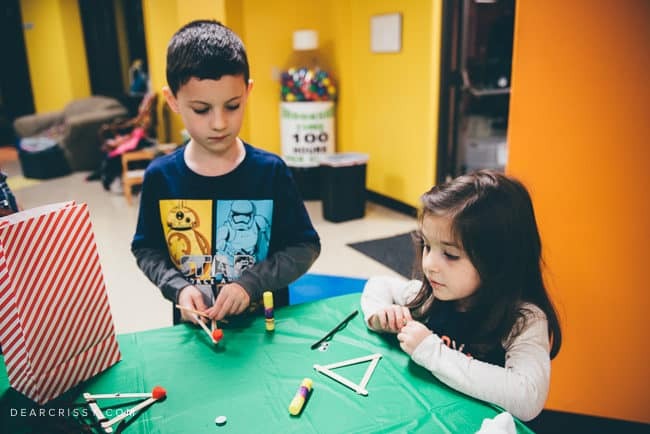 There were several craft stations set up, each complete with all the materials and tools needed to complete a fun holiday craft. The kids really enjoyed making a variety of ornaments, and we hung them all on our Christmas tree when we got home. I’m looking forward to getting my work wrapped up next week and taking a little break between Christmas and the new year. Our holidays are very casual and that’s just the way we like them. 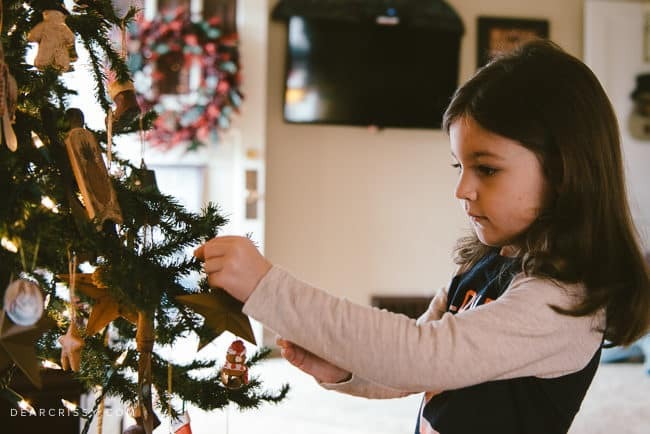 What do the holidays look like for your family? 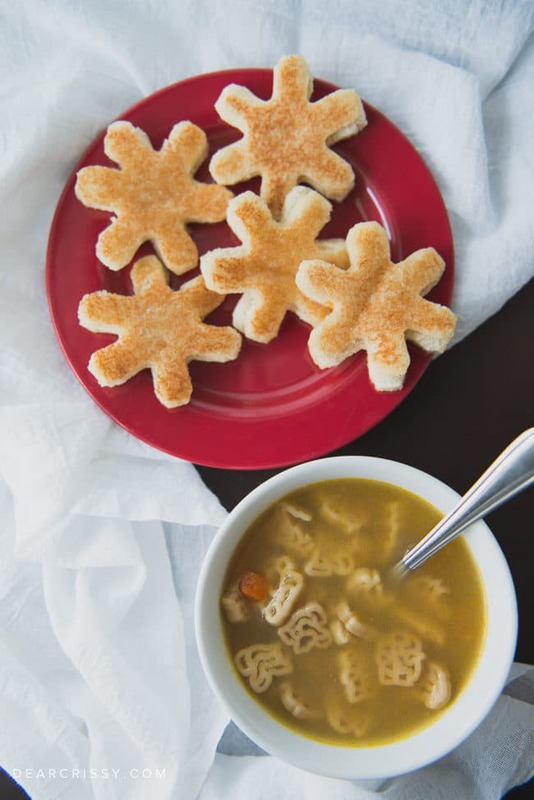 That’s still very creative with the snowflake sandwiches to go with the soup, great job! It is hard when you’re working – the holidays snuck up on me too. I hope you have a Merry Christmas!